Some people dream about the possibility of owning a piece of the titanic. I however don’t have to, as these miracles just seem to find their way to my inbox. 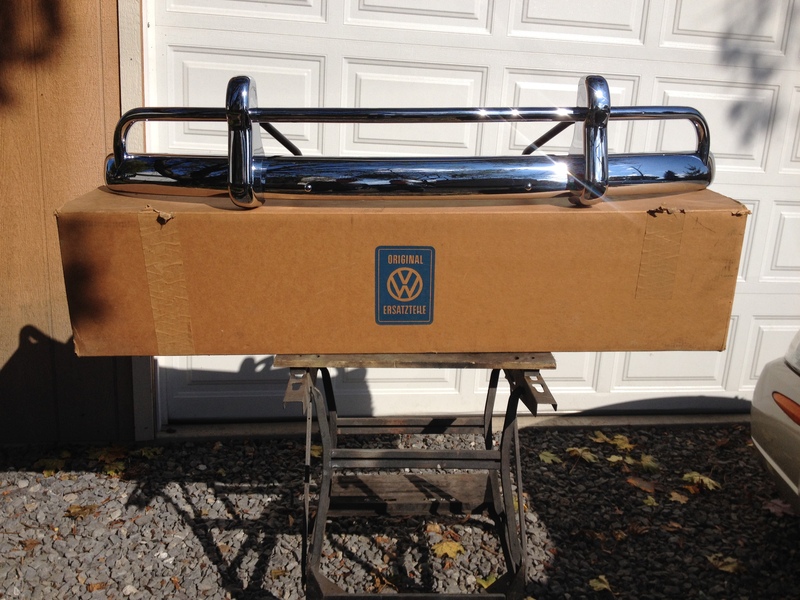 This time, it comes in the form of a NOS ’67 Beetle front bumper, box included. This just might be the most amazing thing I’ve ever seen. Thanks to our customer and friend, Robert Baguley for sharing from his personal collection. 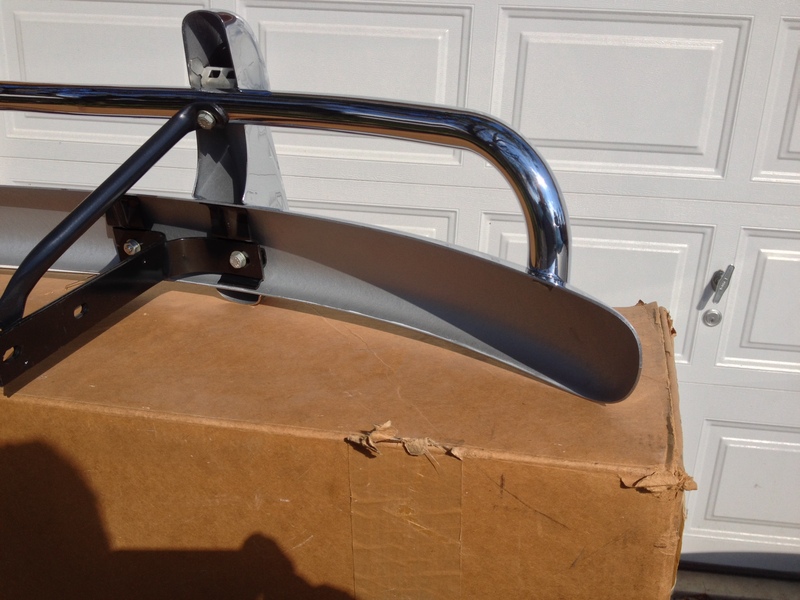 A rare find, a genuine VW front bumper boxed in its original shipping box. 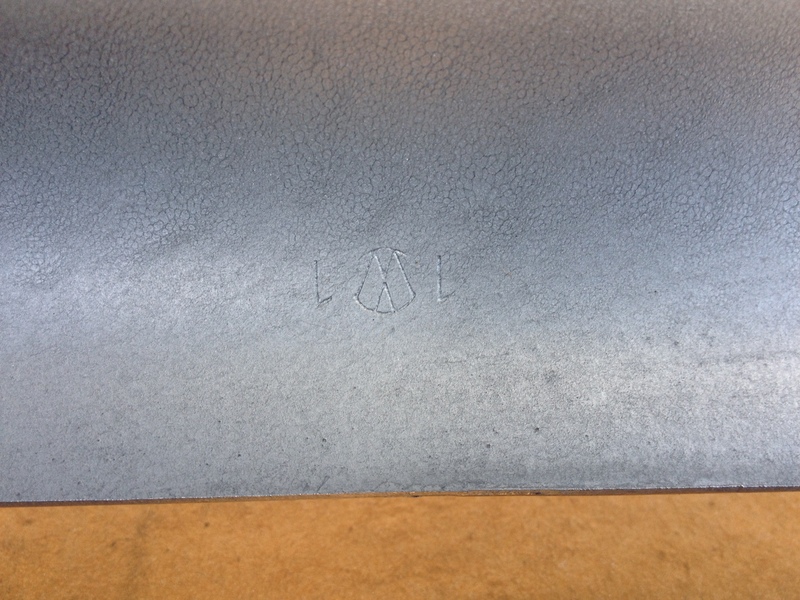 Hidden tucked down inside one of the bumperettes is a small brown VW logo’d envelope containing the rubber grommets and mounting bolts. My friend is a retired VW partsman and his eyes lit up when he saw it, incredibly recalling the part number by heart. 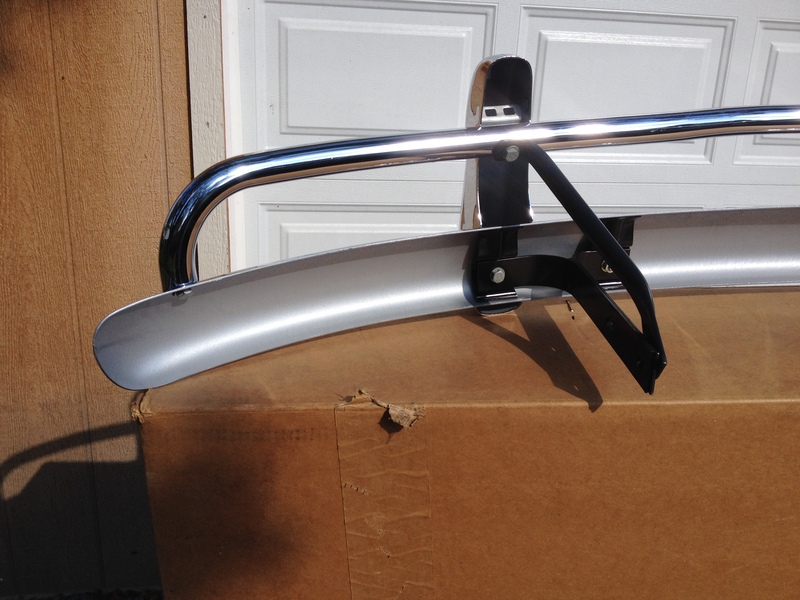 What he shared was that it is a factory replacement bumper – all replacement bumpers came with black poles & brackets from the factory, unlike the silver ones that came on completed cars. Anyone else need a cold shower? Did business with Robert before . . . .Great guy! Holy Hannah…she’s absolute heaven !!! What a beautiful example of VW history! I wonder why the bumper braces are painted black rather than L91 chrome? Beautiful! I need to find some 67 bumpers. Let me know if you know of anyone selling these. They are sure tough to find. Aloha. With the video clips of barn finds that surface every so often, It makes you wonder how much of this type of treasure is stashed away & forgotten. Offer it to The Louve. Would look great across the room where the Mona Lisa hangs. The box needs to be with it though. If only we could all go back in time to say 1970 and purchase and stock pile parts like this. I remember going to the dealer in 1983 and buying parts for my 1969 bug that were in stock. You need to ask the owner what this bumper cost new back in 1967 or whenever he purchased it. That would make us all gag.. I have kept most my receipts for parts that purchased for my 67 Bug since1971. I believe it was in 1972 I decided to follow John Muir’s rebuild directions and go thru my engine. Had only 60K on it, but I think it was toasted in the hot sun of Sacramento where it sold new. 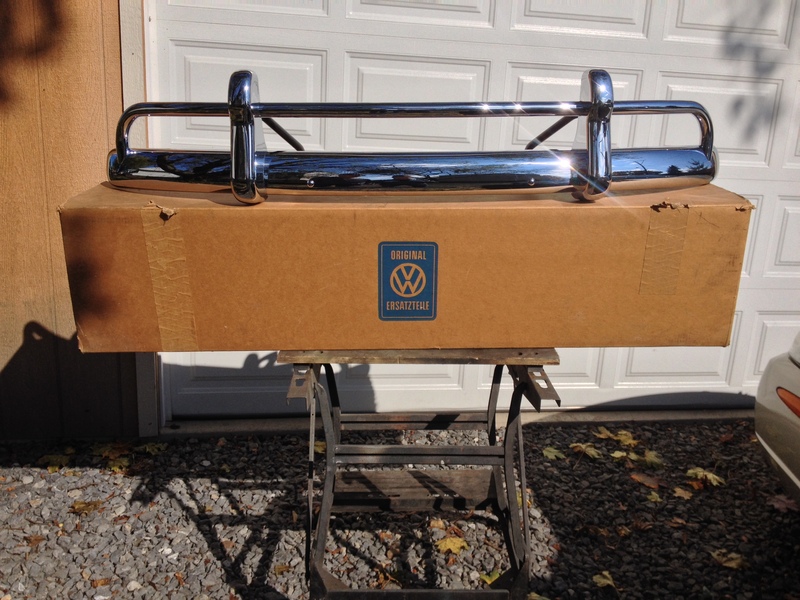 I bought it used at Riviera Motors which was one of the original VW dealerships in the US. Paid $1100 and the car was perfect. When I rebuilt the motor, I paid $80 for the German P&C set, and about $80 for all the rest of the parts. Riviera charged me $40 to assemble the crankshaft. They also described in detail what else I needed to know for a successful rebuild. Highly discouraged me from following Muir’s directions. Got it together and it ran better than the original mostly because all parts were balanced before installing. That rebuild lasted me 100,000k. Got about that mileage on the next rebuild, and now after a third rebuil, still driving and it is as smooth as ever. In 1972 you could buy a brand new 1500 engine in a crate from VW for $400. Complete ready to bolt in your car. Carb, generator, everything. Bought one for my same vintage Bus. A mistake now, I didnt keep the original motor for that car. Look at her shine! Very Sweet! Great NOS bumper and also some interesting information!! Considering that the rear and front bumpers are the most damaged parts of the car and the cost of repairing and re chroming an original is out of sight, then this is a most super find. Not likely to find another one. 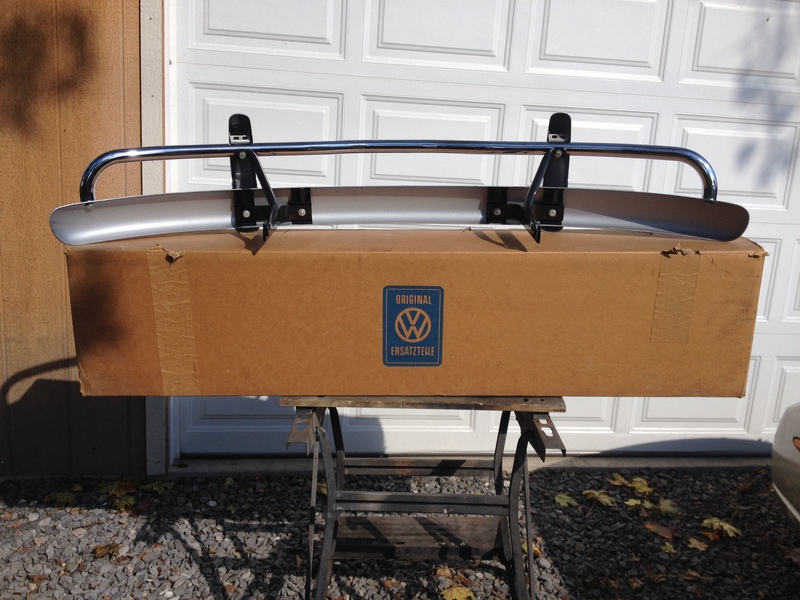 I’ve owned and been around VW’s for 40 years and can can only recall one or two NOS bumpers for sale. I’m not one for trailering a car, but if I installed this one it would go in a closed steel trailer with a chase car to guard the trailer. Super!